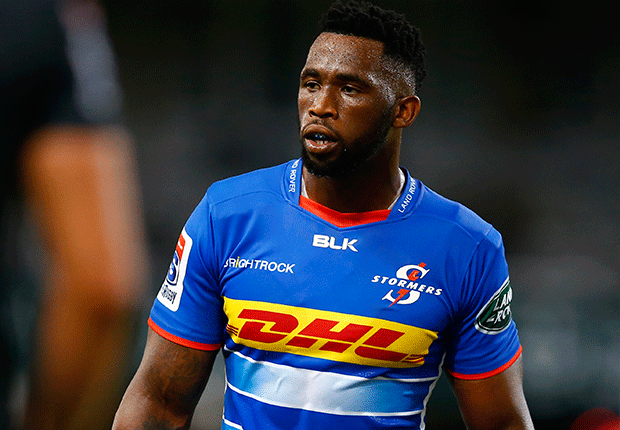 Cape Town - Stormers coach Robbie Fleck is well aware of the fact that Springbok captain Siya Kolisi is in need of a rest. But, because he has lost Eben Etzebeth and Dan du Plessis to injury and that Pieter-Steph du Toit has returned home to be there for the birth of his child, Fleck is now looking for all of the leadership and experience he can get going into the final two matches of his side's Australasian tour. Kolisi, who has played every Super Rugby match so far this year, will start once again when the Stormers take on the Reds in Brisbane on Friday morning. It is a crucial match for the Capetonians following losses on the road to the Hurricanes and Blues, and on paper it is possibly the most winnable game left for the Stormers on tour with the high-flying Rebels in Melbourne up next. Kolisi will almost certainly play that match too. Over in Pretoria, meanwhile, the Bulls have rested their captain and Springbok flyhalf Handre Pollard as well as centre Jesse Kriel "in line with Springbok protocol". While there is nothing set in stone this year in terms of how much Super Rugby the Boks can play before they must rest, national coach Rassie Erasmus is in constant contact with the franchise coaches. Together, they have identified an "ideal workload" for each individual player and the plan is to fall in line with that calculation. The final call, though, still lies with the franchise coaches and losing Etzebeth and Du Toit has certainly impacted Fleck's commitment to the Springbok cause in a World Cup year. "We've discussed it at length and with the injury situation we haven't been able to do that," Fleck said on Wednesday over the possibility of resting Kolisi. "We were looking to give Siya and Damian de Allende a break at some stage on the trip, and then the injury situation obviously dented that. "They are both senior players and with such a young side going out this week it's important that they're there guiding the team." Fleck applauded the willingness of both Kolisi and De Allende to keep playing after it was confirmed that Etzebeth and Du Toit were returning to South Africa. "t's just the situation that we're in at the moment," he explained. "We're conscious of it and so are they, and we're in constant communication with the players about how we're going to go about it. "As soon as they knew about the injury situations after the Blues, both players were fully committed."